In March, winter has a hard time leaving the area where we live. 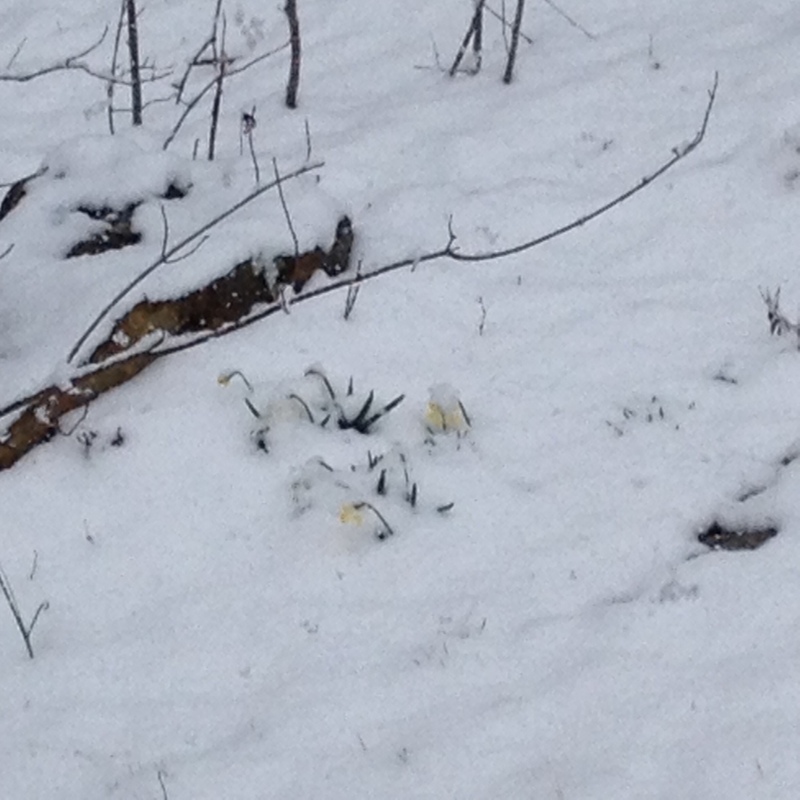 One day it will be sunny and warm with signs of the hope of spring. A few days later winter’s blanket of white will cover the newly budded flowers and trees. 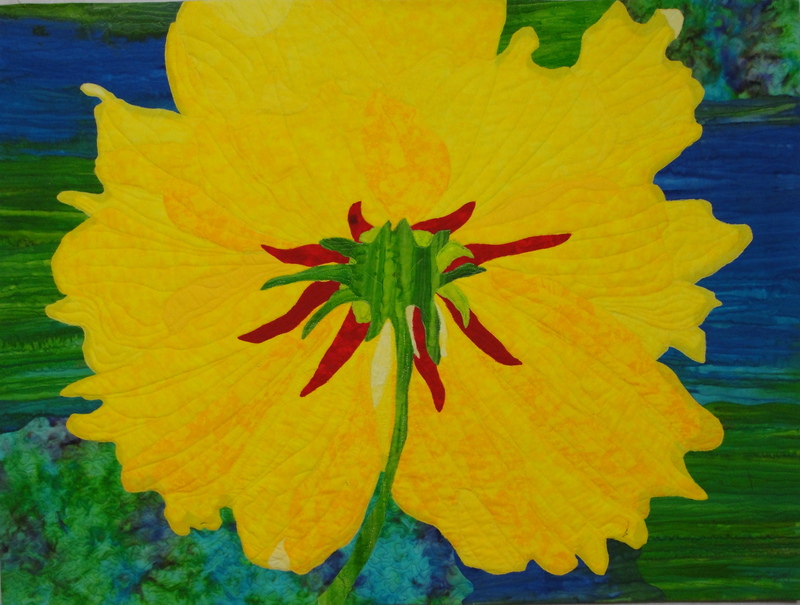 But through this transition, ultimately spring will arrive and summer will follow…A recent art quilt, which is now on exhibit, also shows the brilliance of a yellow flower. For me I always think of these as signs of hope and a celebration of life! The inspiration for this piece was a photo that I took in a backyard garden that captured its colors and shape from a different angle~the bottom side~ with the sunlight shining from above. A Different Perspective, rayon on cotton. 45″ x 45″, © 2014 Joni Beach. Pieced, free-motion quilting. applique, threadsketching. I enlarged the image to the desired size to use as a guide. The composition was pieced by cutting fabric pieces and gluing them into position. Extensive free-motion quilting was used to construct the design and add depth and texture. The edges were finished with a facing. I also sign and date each wall-hanging in the lower left-hand corner, using free-motion threadsketching. A Different Perspective and other contemporary textiles may be seen in the Art Gallery. 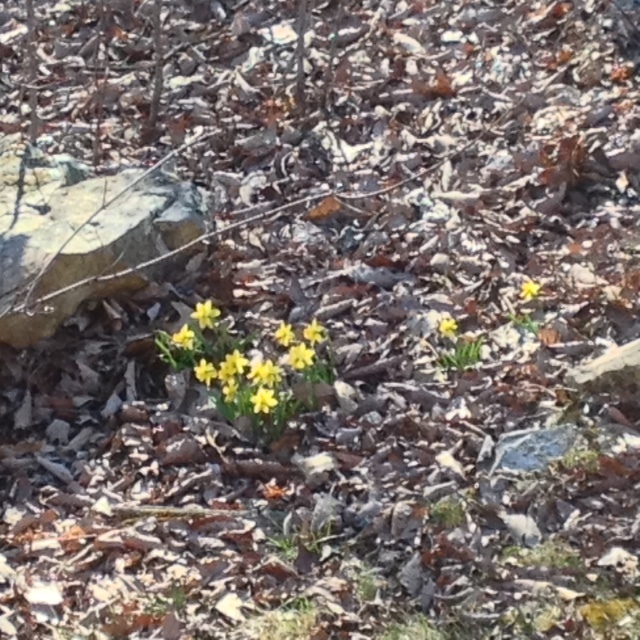 Enjoy these signs of spring…hope…and a celebration of life! Several pieces are available through Eucalyptus Massage Center Gallery. *I would love to hear what inspires you and are your reminders of hope? Next PostNext In the Studio~Spring at Last!